W.D. Moore and Co has been specialising in pumping water products and services for over 100 years. Tehir product range includes windmills, pumps and components and solar panel systems. 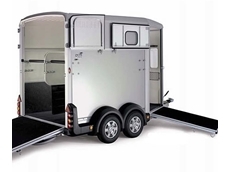 08/09/10 - The Ifor Williams range of horse floats are now available through East Coast Trailers, NSW. 23/07/08 - Otto Tuza's VIP Horse Floats offers custom built standard and angle load floats. 21/07/08 - Otto Tuza's VIP Horse Floats specialises in providing a wide range of floats for ferrying horses safely and comfortably.